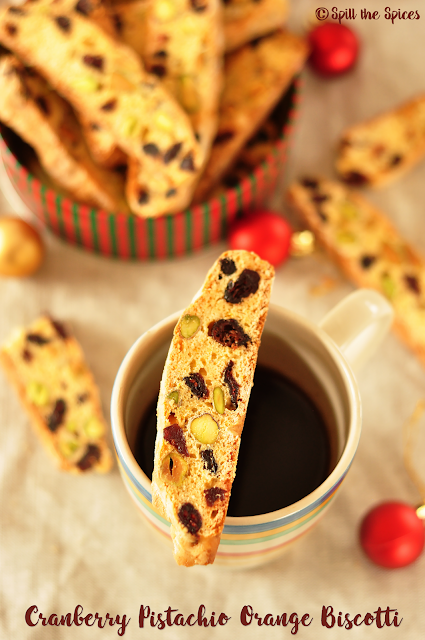 Today's I'm sharing a crunchy and delicious biscotti recipe studded with sweet cranberries and salty pistachios with a slight hint of orange flavor. This is a very easy recipe from Donna Hay, which you can make during the holiday season and perfect as Christmas gift for your friends and family. 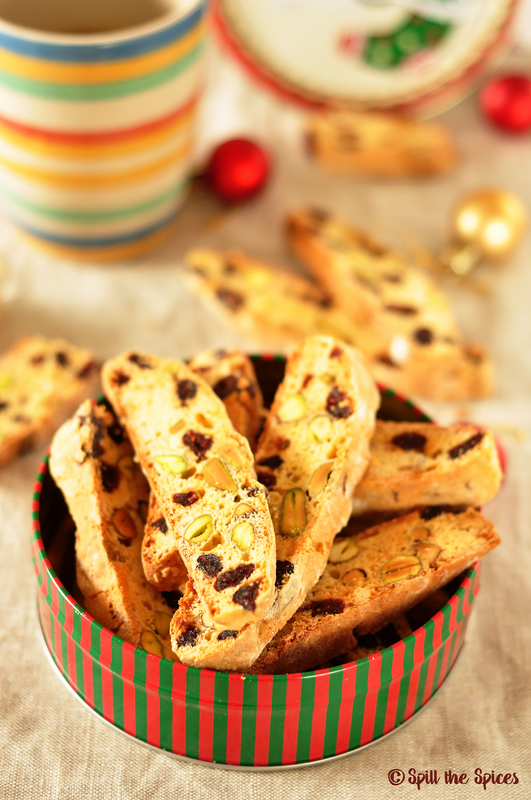 I think the recipe yielded about 40 or 50 biscotti but I lost count as we started munching on these delicious biscotti's while slicing them up and few more soon after the final bake! Trust me, these biscottis are very addictive and you will keep eating one after the other. A simple recipe with a very ingredients and quite healthy too. 2. In a large mixing bowl, add the eggs and beat them lightly. Add the orange zest, vanilla extract, sugar and combine well. 3. Sift the flour and baking powder. Add to the egg mixture along with cranberry and pistachio. Mix until it forms a dough. 4. Place the dough on a floured surface. The dough will be slightly sticky. Sprinkle little flour and knead the dough until smooth. 5. Divide the dough into two and form logs. Place the logs in a baking tray lined with baking paper. Slightly flatten the logs. 6. Bake for 30-35 minutes or until firm. Allow to cool completely. Once cool, cut into thin slices using a serrated knife. 7. Place the slices on the baking tray. Place in the oven and bake at 180°C for 8-10 minutes or until crisp. 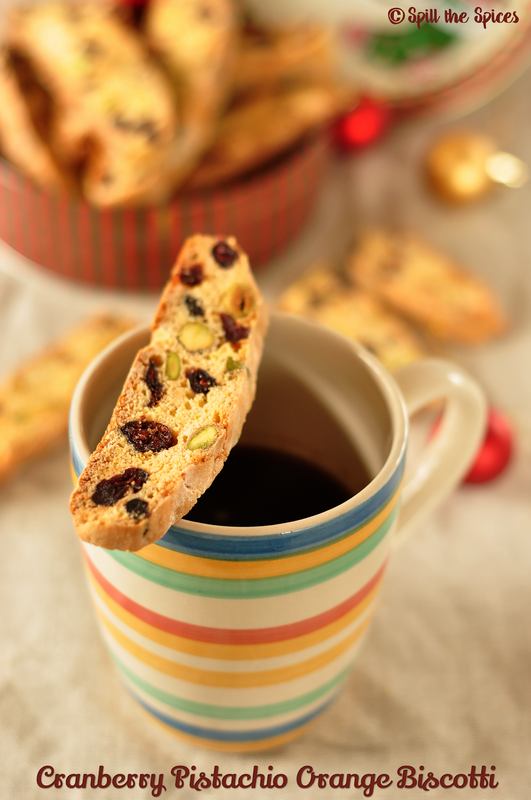 looking Awesome.. i am so looking forward to trying biscotti..